The World Health Organization says compulsively playing video games now qualifies as a mental health condition, in a move that some critics warn may risk stigmatizing young players. The World Health Organization says compulsively playing video games now qualifies as a mental health condition, specifically an addictive behaviour disorder. The statement on Monday confirmed the fears of some parents but led critics to warn that it may risk stigmatizing too many young video players. In its latest revision to an international disease classification manual, the UN health agency said that classifying "gaming disorder" as a separate addiction will help governments, families and health-care workers be more vigilant and prepared to identify the risks. WHO and other experts were quick to note that cases of the condition are still very rare, with no more than three per cent of all gamers believed to be affected. In a definition for gaming disorder released earlier in the year, WHO said those affected would show a pattern of behaviour characterized by "impaired control over gaming, increasing priority given to gaming over other activities to the extent that gaming takes precedence over other interests and daily activities, and continuation or escalation of gaming despite the occurrence of negative consequences." The agency also said the behaviour would have to significantly impair normal functioning to meet the criteria for gaming disorder, and would normally have been going on for at least 12 months. Dr. Joan Harvey, a spokesperson for the British Psychological Society, warned the new designation might cause unnecessary concern among parents. "We come across parents who are distraught, not only because they're seeing their child drop out of school, but because they're seeing an entire family structure fall apart," said Dr. Henrietta Bowden-Jones, a spokesperson for behavioural addictions at Britain's Royal College of Psychiatrists. She was not connected to WHO's decision. "The studies suggest that when these individuals are engrossed in internet games, certain pathways in their brains are triggered in the same direct and intense way that a drug addict's brain is affected by a particular substance," the association said in that statement. "The gaming prompts a neurological response that influences feelings of pleasure and reward, and the result, in the extreme, is manifested as addictive behaviour." "Video gaming is like a non-financial kind of gambling from a psychological point of view," said Griffiths, a distinguished professor of behavioural addiction at Nottingham Trent University. "Gamblers use money as a way of keeping score whereas gamers use points." He guessed that the percentage of video game players with a compulsive problem was likely to be extremely small — much less than one per cent — and that many such people would likely have other underlying problems, like depression, bipolar disorder or autism. WHO's Saxena, however, estimated that two to three per cent of gamers might be affected. 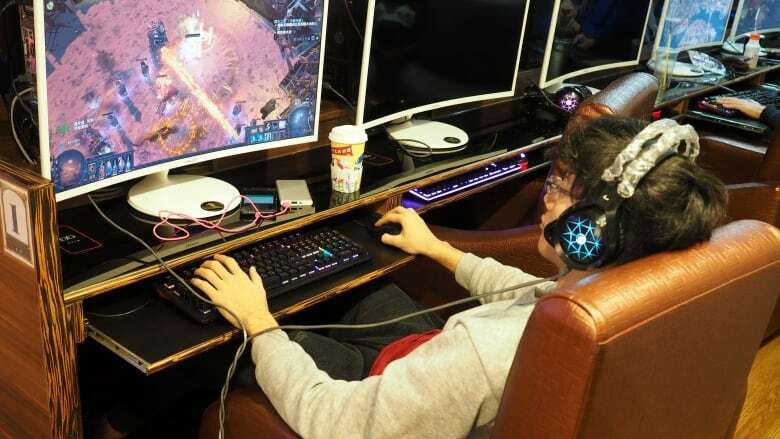 "If [video games] are interfering with the expected functions of the person — whether it is studies, whether it's socialization, whether it's work — then you need to be cautious and perhaps seek help," he said.